The website formerly known as GBUsers.com has announced that it will now be known as MacJams.com. MacJams.com is one of the leading GarageBand communities, featuring news, information, and user discussion about Apple's popular music software and related topics. Users are asked to update their bookmarks prior to February 2, 2004, our former domain name will become inactive. Ed: Sounds good to me -- GB sounds too much like "Great Britain"! IK Multimedia announces Sonik Synth 2 plug-in synth workstation, a cooperation between IK Multimedia and leading US sound designer Sonic Reality. Sonik Synth 2 is a RTAS, VST, Audio Unit and MAS plug-in for Mac0S9-Mac0SX. This virtual instrument features the Sonik Synth virtual synth module and more than 500 sounds and textures, more than 1000 sampled instruments and performance elements designed by Sonik Reality. 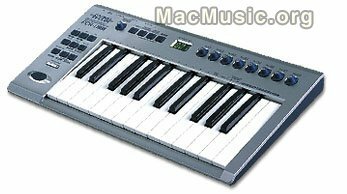 Sonik Synth will be available by Q2, 2004 at 399 euros. 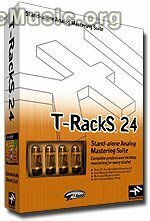 T-Racks 24, the stand-alone mastering software will be available for MacOS X by the end of January 2004 for a retail price of 299 euros. The plugin version of T-Racks will be available for Audio Units and VST on MacOS X by the end of January 2004 for 399 euros. The Virtual Orchestra is a multimedia library of the contemporary orchestra. It includes sample banks with more than 15,000 instrumental sounds, pictures and the software sampler Osiris. The Virtual Orchestra is a system developed by Thomas Hummel at SWR Experimental Studio in Germany. 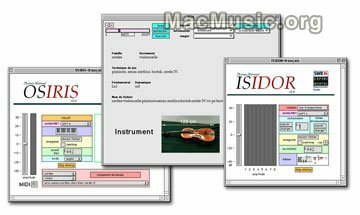 Virtual Orchestra goes now to Mac OS X and is available from Forum IRCAM. Ircam Forum Post a comment ?